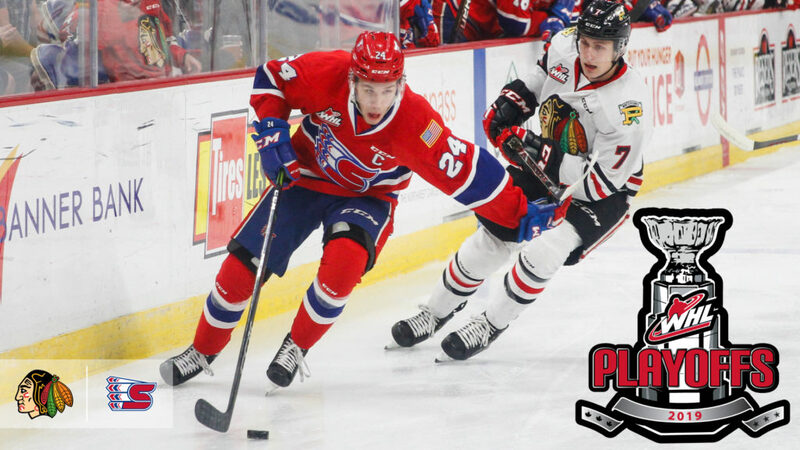 For a second-straight season, the Spokane Chiefs and Portland Winterhawks will meet in the first round of the Western Hockey League Playoffs. The Chiefs, who ended the regular season on a three-game winning streak and collected eight wins in their last 10 games, will have home-ice advantage when the two teams begin their seven-game series. Spokane has home-ice advantage thanks to a 3-2-0-1 record in their six-game series against the Winterhawks during the regular season. Though the players have changed over the years, the rivalry remains as fresh as ever between the two U.S. Division clubs. 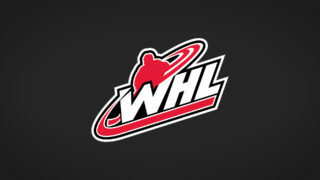 This year will mark the 13th time both teams have met in the WHL Playoffs. 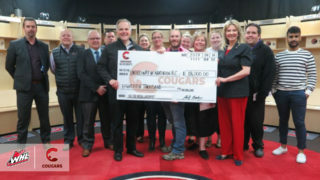 Last year’s seven-game series in the first round was decided by a 3-1 victory for the Winterhawks on home ice on April 3, 2018. Chiefs’ overage forward Riley Woods led both teams in scoring during their head-to-head battles in the regular season with 14 points (4G-10A). The only other player to reach double-digit points in the season series was Joachim Blichfeld (San Jose Sharks), who had 12 points (5G-7A) in six games. The product of Denmark also won the WHL scoring race with 114 points (53G-61A). Spokane has a talented forward core that will be tough for the Winterhawks to contain. Most of the Chiefs’ offence will run through co-captain Jaret Anderson-Dolan (Los Angeles Kings), who had 43 points (20G-23A) in an injury shortened season. The Calgary, Alta. product has steadily raised his game in recent weeks and appears to be hitting his stride at the right time. 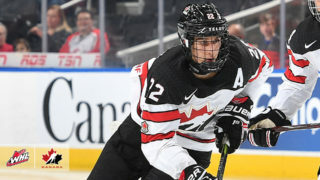 Two Saskatchewan products in overage forward Riley Woods and 2019 NHL Draft prospect Adam Beckman will also be tough to contend with. Woods led the Chiefs with 75 points (29G-46A) this season while Beckman was second in WHL rookie scoring with 62 points (32G-30A). The Chiefs will also be entering the series with one of the best, if not the best, defenceman in the entire league. Co-captain Ty Smith finished fourth in the WHL defensive scoring race with 69 points (7G-62A). Countering from the Winterhawks will be a pair of talented forwards in addition to a solid supporting cast as well. In addition to Blichfeld, captain Cody Glass has proven himself to be one of the biggest offensive threats in the league. Like Anderson-Dolan, Glass missed time with an injury this season but still posted impressive offensive totals with 69 points (15G-54A) in 38 games. The Winterhawks also had an impressive rookie performance on their end as Seth Jarvis recorded 39 points (16G-23A) in 61 games this season. Jake Gricius and 2019 NHL Draft prospect Reece Newkirk also posted career-best totals and will be players to keep an eye on during the course of Portland’s run. 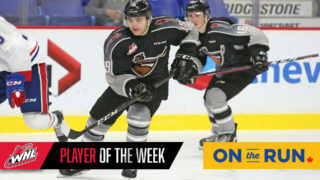 Mid-season acquisition Josh Paterson has also continued his steady offensive play as they look past the first round of the WHL Playoffs for the ninth time in the past 10 seasons. 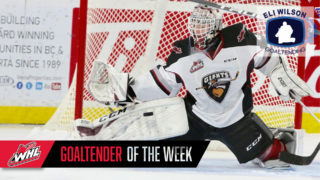 Between the pipes, Bailey Brkin collected all three victories for the Chiefs during the season series while the trio of Joel Hofer (St. Louis Blues), Shane Farkas, and Dante Giannuzzi each picked up a win against the Chiefs this season. Game One of the series will be played Friday, March 22 (7:05 p.m. PT) in Spokane followed by Game Two the following night. The series will then shift to Oregon for Game Three, scheduled to take place Tuesday, March 26 (7:00 p.m. PT).